Oh boy…I really wanted to like this book. Based on all the rave reviews from my trusted book bloggers, I assumed this was going to be a real showstopper. After reading Following Atticus, I was ready for another soul-searching wilderness adventure. The themes of both books are essentially the same: Lost souls embrace the healing powers of nature while pursuing their epic quests. Their accomplishments are indeed impressive, yet I had a hard time admiring – or even liking – the leading lady in Wild. There’s this theory that we tend to not like things we don’t understand. I guess that’s why I was immediately turned off by Cheryl Strayed. Despite her poetic ramblings, I couldn’t understand the logic behind some of the self-serving decisions she made that ended up hurting the people she loved. I disconnected from Cheryl the moment when she drooled all over a male nurse’s bulging crotch while standing over her mother’s deathbed. Seriously? You want to jump some strange guy’s bones while your mother is taking her last dying breaths? I know the mind does some wacko things in traumatic situations, but this just seems bizarre. Throughout the book, I waited for her to redeem herself, but she continued to dig herself deeper into the hole by making idiotic, impulsive decisions. Why would you go on a solo trek down isolated terrain without a weapon or self-defense training? If you’re toting around a ginormous backpack that’s half your body weight, maybe you should do some rethinking. Oh and before you go on an epic journey through various ecosystems, perhaps it’s a good idea to study a map and weather conditions. I don’t know, guys. I tried to get past my disdain for this babe in the woods, but even her poetic reflections about the simplicity of nature couldn’t save this book. The flashbacks of her life growing up in a mud-and-straw house with her hippy mother were semi interesting. But did she really need to torture her readers with the gory details about the demise of mother’s beloved horse? There were a couple of chapters about death and dying that I had to skip because the play-by-play details were just a little too much to take. Maybe if I read this before Following Atticus, I wouldn’t be such a tough critic. Their quest was all about stepping outside mundane life and finding something bigger. Cheryl’s odyssey was all about…well Cheryl. Since this is a journey of transformation, I guess that’s okay for some readers. This reader, however, wanted something more. On a happier note, I will say that I commend her strength and tenacity. It’s nearly impossible kicking a heroin addiction, and she did it cold turkey. That’s pretty dang impressive. Plus I admire her strong, independent spirit. It takes a lot of balls – or shall I say brass ovaries – to hike the entire PCT all alone. I couldn’t even pitch a tent in my own backyard alone without getting the heebie jeebies. Normally I don’t write such scathing reviews, but I sincerely doubt this is going to affect book sales one bit. With the blockbuster movie coming out, I’m sure more fans will come out in droves. In fact, an author once told me that a healthy mix of one-star and all-star reviews is actually the sign of a book worth reading. Even though I would rather hike the entire PCT in my bare feet than read this book again, I highly recommend it to book clubs. Trust me, Cheryl’s antics will undoubtedly stir up a hearty debate! 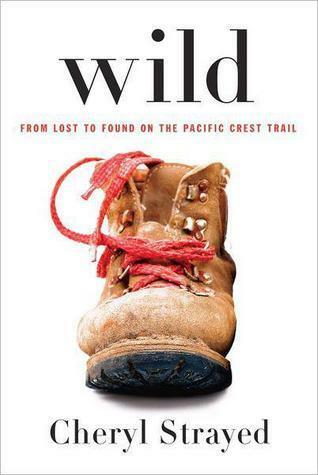 Posted on May 11, 2014 by Bubble Bubble Books and Trouble •	This entry was posted in Memoirs and tagged Cheryl Strayed, Wild, Wild by Cheryl Strayed. Bookmark the permalink.